The monatsery was also shut down by Egyptian authorities in 2013 fearing a terrorism attack, according to Al Monitor. The Greek Orthodox monastery of St. Catherine at Sinai city, Egypt is located at the very place where according to Christianity God appeared to Moses in the Burning Bush, beneath the Mount of the Decalogue. It is the oldest continuously inhabited Christian monastery, with a history that can be traced back over seventeen centuries. The monastery offers job positions for numerous people in the area helping the local economy flourish. St. Catherine’s Monastery employs 400 workers at its olive groves, grape farms, honey bee farms and several processing facilities. When Egyptian authorities decided the monastery’s complete shutdown in 2013 the locals were left struggling, and sinc ethen the situation remains harsh. The Bedouin residents were forced to sell their camels, since they were not able to feed them and in order to provide for their families. St. Catherine’s Monastery has been shut down two times over the past 50 years. The first time was “in 1977 when former President Anwar Sadat made his historic visit to Jerusalem, and in 1982 when the Egyptian military entered Sinai after the withdrawal of Israeli forces,” noted Al Monitor. 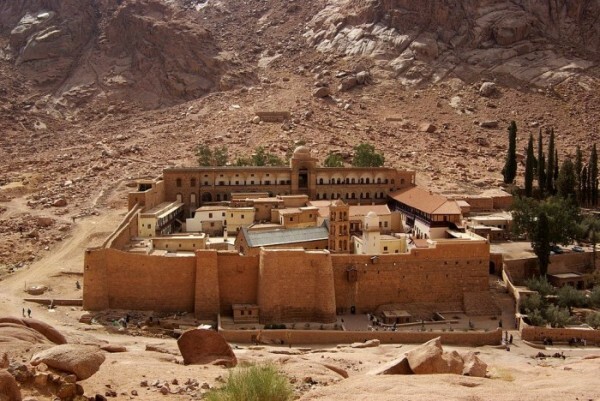 The most recent shutdown was not explained by the local authorities, however, it allegedly took place when a monk traveling in South Sinai was almost kidnapped leading authorities to suspect a possible attack on St. Catherine’s monastery.